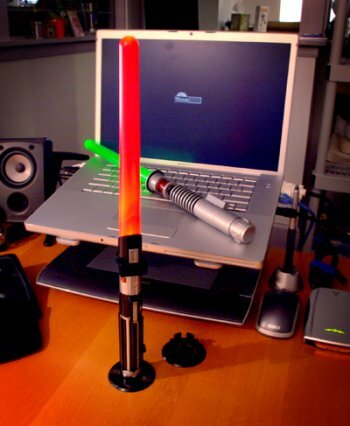 This is a must have for any self respecting Star Wars office worker, the lightsaber desk lamp. Show your allegiance with style, you can buy a red lightsaber for those preferring the dark side or green for the office goodie. Must admit I can’t believe it’s taken this long before somebody thought of making a lamp from the Jedis favourite weapon. You can light and decorate your desk for $19.99 from Think Geek.